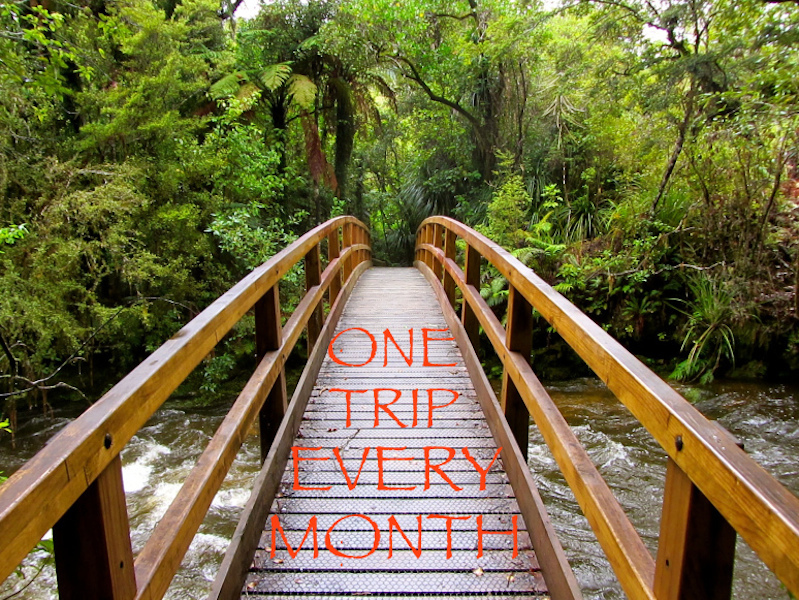 My trip this month, is just the kind that I began this challenge for – to go somewhere I’ve been meaning to go, but have never got around to it! 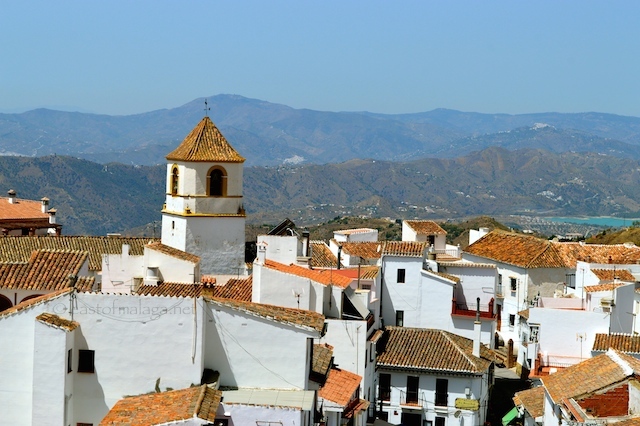 The white, mountain village of Canillas de Aceituno lies, like several others, in the shadow of the largest mountain in the Axarquía region – La Maroma, a bare, pointless peak reaching to a height of 2065 metres. I chose to take the back road to Canillas de Aceituno from Cómpeta, driving past Archez, Salares and Sedella along the way. It’s a beautiful drive, with a natural landscape of hills, mountains and ravines and it was worth stopping a few times to take photographs of the open vistas towards a shimmering La Viñuela reservoir in the distance, or the towering Monte Maroma, nearby. A quicker route would be up the A356 from Vélez-Málaga and then turn right towards the village, but I had the time to linger. On the approach to Canillas de Aceituno, I came across La Rahige, which is a wooded area with a ravine, pools and waterfalls. As it was late July, the water was only a trickle, but I’m sure it rages through here during the winter months. As I explored the shady ravine, I looked up and caught a glimpse of a mountain goat – the first I have ever seen. He seemed to be watching my every move as he expertly perched on the edge of the cliff face. Records show that there has been a settlement on the site of Canillas de Aceituno since the Moorish occupation in the 8th century, when the main industry was the growing of mulberry trees for silk production. 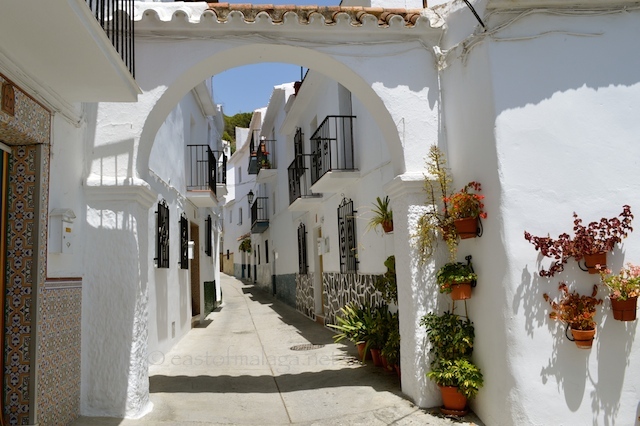 Indeed, there are still two Arabic arches preserved within the village, the first on Calle Agua (which is the prettier of the arches, pictured above) and another on the narrow Calle Calleja, a little higher in the village. These arches once formed part of a wall that surrounded the settlement, and in which gates were closed at night for protection. After parking the car, I headed towards the Town Hall in Plaza de la Constitución at the centre of the village, to the Tourist Information Office (open Monday to Friday 10am-2pm) to obtain a map. 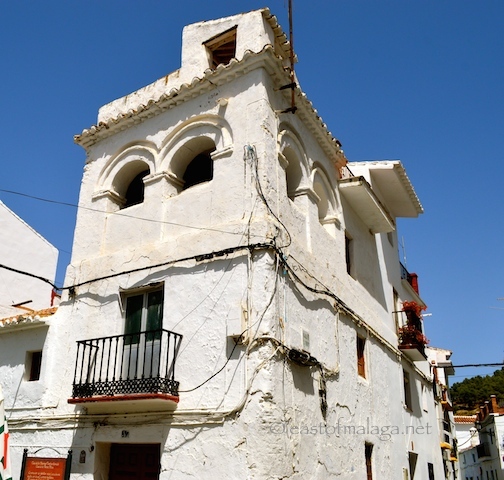 Canillas de Aceituno is not a large village, but if you visit, it would probably be wise to ask the lady in the Tourist Office to mark the position of the 1000 year old Arab Cistern, as you would probably never find it without some directions. As you leave the Town Hall, on the diagonally opposite corner you will see the white tower of La Casa de Diezmos (the House of Tithes). Now a private residence, this is where the production of the mulberry tree leaves and the manufacture of silk were controlled and taxed. Wandering around the village with it’s impossibly white walls reflecting the summer sun and flanked by flowerpots overflowing with blooms, I came across the plaque where the old castle used to stand, and the Church of Nuestra Señora de Rosario, constructed during the 16th century on the site of the old Arab mosque. 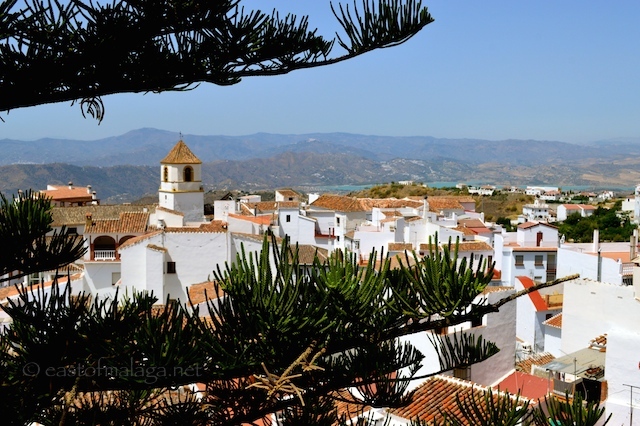 From the square at the side of the Town Hall, a maze of narrow streets climbs steeply up the hillside to the Mirador Blas Infante, a scenic viewpoint which offers panoramic views across the terracotta roofs of the village towards La Viñuela reservoir. There are many other white villages dotted on the hillsides in the distance. 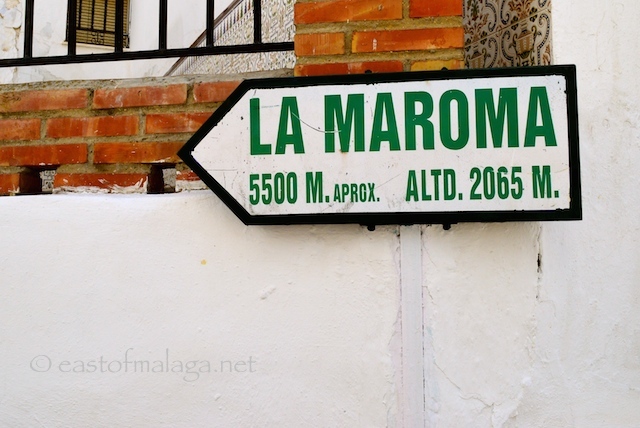 If you are a hiker, it is from here that you can continue the 6 kilometre climb to the summit of La Maroma – but as it was a hot July afternoon, I decided to pass on that option. 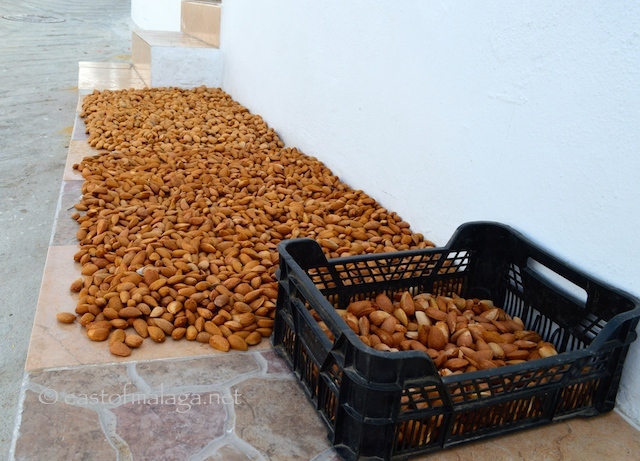 In the upper part of the village, I stopped to chat with a Spanish couple who had almond shells spread out on their doorstep, ready to be cracked open to expose the nuts inside. This is a laborious, time-consuming job which I know only too well, as we have 47 almond trees on our land (though this is not something we do as we have never developed the knack of being able to extract the whole nut from it’s tough exterior with ease). It’s difficult to explain where the old Arab cistern is, but I’ll try. Sadly there are no signs and the area is in a state of disrepair. If you have the mark from the Tourist Office on your map, you will see that you should head for Calle Placeta and as you pass the parking area, there is a row of houses on your right side. Walk past these houses and you will now be next to a patch of rough ground. As you approach the next house on your right, you will see some very rough steps going down to the side of the house, and an opening in the side wall. Here you can see into the 1000 year old cistern full of water, which is still used to irrigate the nearby terraces. 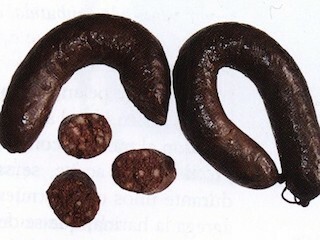 Each year, on the last Sunday in April, the village of Canillas de Aceituno hosts the the fiesta of El Día de la Morcilla (the Day of the Black Pudding) when the speciality black-pudding stuffed with onion, and for which the village is famous, is celebrated and available for all to try. If you don’t fancy the black pudding, I can certainly recommend Asador La Maroma for lunch, where not only are the food and surroundings very pleasant, but we were treated like old friends by Paco, the owner and his family. OH and by the way, don’t forget your camera when you visit Canillas de Aceituno! This entry was tagged Andalucía, Canillas de Aceituno, culture, East of Malaga, Europe, life, Malaga, One trip EVERY month, One trip EVERY month Challenge, photography, Spain, travel, white villages. Bookmark the permalink. Beautiful….may have to tag this on to my visit to Competa. Had a lovely lunch on the terrace at Hotel la Vinuela in March so have been fairly close by! Totally enchanting – I love those narrow streets with white walls and overflowing flower pots. To still be able to see a cistern that is in use after such a long time… that’s quite something. But if something still works, why wouldn’t people continue to use it?! What a delightful place! ‘Impossibly white’ is the perfect phrase for those walls! I was just looking at your photos of the white village again, and remembering another village I was in last year in the north of Spain. I wondered then, as now, why the houses have to be white. Do you know? We haven’t been there for a couple of years, I’d forgotten how pretty it is! And morcilla….yum! Overflowing flowerpots and tons of almonds. Can’t go wrong! Beautiful shots, Marianne. You’re probably right, Marianne. What’s not to like! The archways, white washed villages and terra cotta tiles are so beguiling, but the ancient cistern was worth the time to find. Lovely day trip, Marianne. Yes it is – very special. There’s always something new to see ….. Thanks for the guided tour Marianne. It looks wonderful. Once you’ve got used to climbing steep streets, up then down then up again, there are usually some great places to explore. Looks a stunning little place! You did a grand job! I usually do my research before I go – and I was delighted when one of my Facebook followers (who lives in the village) left me a comment saying that she didn’t even know about the Arab cistern within the village! YAAY!! Fantastic photos, as always 🙂 Love those almonds!!! It’s breath-taking, just the sort of village I love to stumble across. The mountain goat looks as if he will topple over the edge. I wonder if it gets cold up there in winter. Yes, it gets really quite cold (with snow) in the winter, Gilly. Now this is a great goal to have, Marianne, especially when one lives in such a beatiful part of the World. Thanks John – much appreciated. This is just wonderful. I can imagine someone heading there just thrilled to have this post and photos to hand. The Arab cistern is amazing. It is so intriguing to read of brilliant systems that were put in place hundreds of years ago, especially when they continue to be so vital today. Black pudding, now, there’s something interesting too. I’d always thought of it’s being an Irish invention-you know we love our black pudding here. Now I am begining to wonder if it was one of those things that travelled up to us from Spain all those years ago. What a lovely comment – thank you so much. The Arab cistern was a special find – especially so when I found out that a FB friend living in the village didn’t even know it was there! 🙂 She’s off to see it now! Yaay! There are many connections between Spain and Ireland. When we were in Santiago de Compostela a few years ago there was a Spanish guy (with red hair) there, playing the Iberian version of the bagpipes! Oh, I’ve seen that guy! Well, not quite him. But I recall being most intrigued by an red haired freckled chap who turned out to be Spanish tourist here. `Fraid not, though it wouldn’t have surprised me in the least if he’d whipped out one. I love the nuances in language and culture that reflect how much cultures influenced in each aeons ago. And, of course, they continue to do so. Those flower pots on the white walls are amazing! Thanks for taking me on a walk with you. Beautiful. This is my kind of village. Love the white buildings with colourful flowers. Some great pictures! Glad you enjoyed it, Cindy.